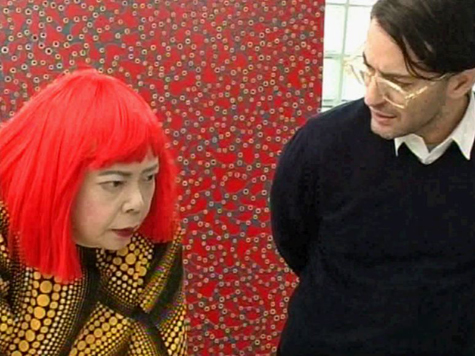 “We sensed that Yayoi Kusama’s endless dots would echo a while in Marc Jacobs’ mind“, stated the narrator as Marc Jacobs and famed-Japanese artist Yayoi Kusama part ways (watch the video below + start at 2:48) in the 2007 critically acclaimed documentary “Marc Jacobs & Louis Vuitton“. 5 years of endless echoing has finally brought upon us, as confirmed by fashion journalist Jim Shi on Twitter, a wonderful collaboration between Louis Vuitton and the self-proclaimed “obsessive artist” Yayoi Kusama, set to release in July 2012. With the extreme success of past collaborations with renowned artists, including Takashi Murakami and Stephen Sprouse, there’s no doubt that this polka dot slathered collection will dazzle the eyes of LV fanatics across the globe. The bags will surely be the bread winner of this full collection, which will also include Ready-To-Wear, shoes, accessories, watches, and jewellery. The July 2012 release is quite timely, as it lands roughly in the middle of LV’s highly-anticipated Marc Jacobs exhibition, which will run from March 9 until September 16 at Les Arts Décoratifs in Paris. Screen grab from the 2007 documentary "Marc Jacobs & Louis Vuitton". This entry was posted in THE NEWS, VIDEO and tagged artist, collaboration, documentary, fashion, Japanese, Jim Shi, Louis Vuitton, marc jacobs, polka dots, Yayoi Kusama. Bookmark the permalink.